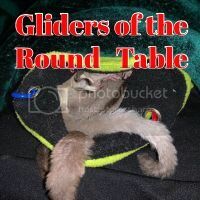 Register Log In GliderCENTRAL Forums Breeding & Babies Breeding 101 Breeding for Colors Original Lines Lineages/Genetics BREEDERS! I am working on placing an Understand Lineages/Genetics on my site. Below is what I have so far but NOT complete. I do not want to leave any details out! so if you have additions/corrections or notes please let me know so that I can add them. justforfuzzies has a decription on her website as well, you might talk to Nicole and see if there is anything else y'all can brainstorm. She is my go-to expert on lineages. Thanks you!! !anyone else have suggestions ? Last edited by ChrissysGliderz; 08/12/11 10:48 AM. There's the Magnolia line for leucistics from Sheila Wilson and I thought maybe a Snow White too??? I remember a while back ago Roya, I think had a leu pop up from that line.